Well 2008 was a busy year all around. Read oodles of books, reviewed oodles of books and started this blog. Met tons of fabulous folks. Thank you all for visiting and sharing you passion for reading. Here is a summary of the books I enjoyed the most this year in no particular order. Most of the titles were originally published in 2008 but some earlier ones may have snuck in, but in any case that’s when I read them. HAVE A FABULOUS AND HAPPY NEW YEAR ! Hey, just wanted to let you know that your Hendee link goes to Hilburn's review. I've read most of the books on your list, but there are a few I plan to check out. Happy New Year! Yay! I'm on the list! Did you get the black ship? I sent it a bit before xmas. Hey Scooper thanks for the heads up on that. Happy New Year ! Hi Diana. Black Ship's not here yet but now that Xmas is past I am pretty sure the Canadian Post Awful will be catching up. Probably will show up next week. I'll let you know once it hits my doorstep. Happy New Year! What a list of books! If I can managed half that amount in 2009 I'll count myself lucky. Looking forward to plenty more from you next year - keep up the excellent work! I've read about half of the books on your list. I just checked out the ones I've not read and just added Bond of Darkness, Touch of Darkness, Magic to the Bone, and Untamed to my Amazon shopping cart. Yea, more new books to read! Mo steampunk is great. Let me know what you think if you get a chance to try some. Hagelrat all the best to you and yours. Hey Mark and I need you to keep me current with what's up with SF while I do the UF and PNR thing. FantasyBookLover I loved all those titles. Keep in mind they are all series novels so they are best enjoyed if you've read the earlier volumes. Magic to the Bone of course is a debut novel but starts a new series. Pleased to make one of your lists! Thanks... some good company on them as well. Hey Anton thanks for stopping by. 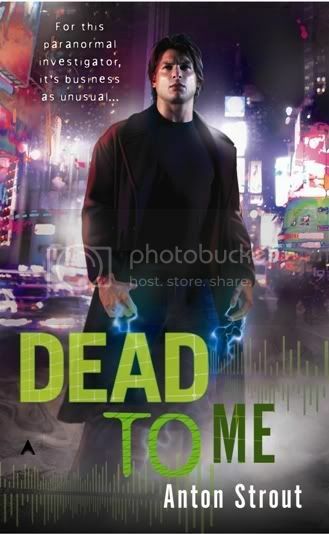 Loved the book and am looking forward to Deader Still next month. At the rate you're goin', by the time I get published you'll be back-booked 6 mos with galleys! 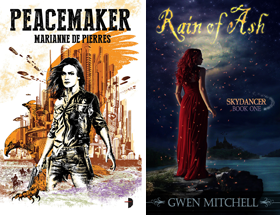 Thanks so much for including Nightwalker on your list. I'm glad to hear that you enjoyed it! Hi Jocelynn Nightwalker was one of the debut highlights of 2008. Definitely looking forward to Daywalker and more of Danaus and Mira. Happy New Year to you! And to me. I'm so glad you enjoyed Sea Fever. Hi Virginia, Sea Fever was definitely a favourite last year (as was Sea Witch). Looking forward to Sea Lord in May.